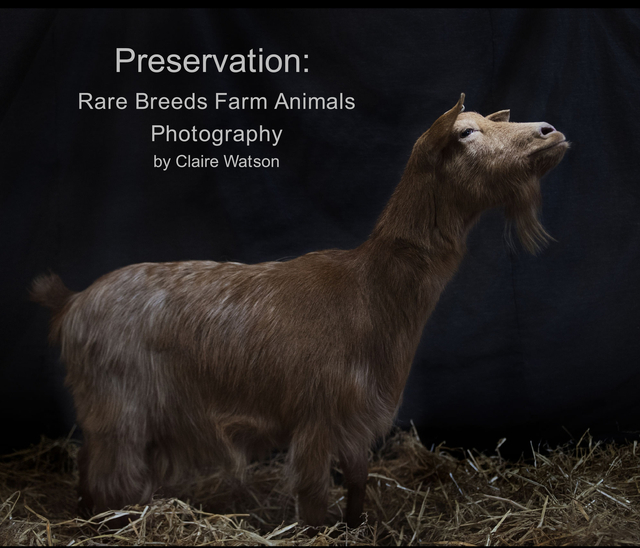 Preservation: Rare Breeds Farm Animals is a photography project by Claire Watson. She is currently working on a long term project to photograph different rare breeds of farm animals and poultry in the UK. This book is a accumulation of the work she has done so far, from photographing the magnificent Suffolk Punch Horse to the beautiful Scots Dumpy Chicken. Within this book Claire discusses why it is important to conserve these rare breeds for future generations while showcasing beautiful photography which depicts the noble and unique characteristics of these animals. Claire plans to take this project further in the future by photographing more rare and native farm animal breeds in the UK and abroad. I am a freelance photographer who specialises in animal photography, wildlife and portraiture. I have photographed a wide range of animals from domestic pets, farm animals and exotic wildlife.